ValuStrat recently released their February 2017 figures for the Dubai residential VPI (ValuStrat Price Index) and mentioned that even though some affordable and mid-end locations were witnessing price uplifts, however, overall residential prices were almost 14 per cent below their 2014 peak. This is due to continued softening of capital values in a few prime locations monitored by the index. The overall residential real estate cycle in Dubai is very much at its trough stage where no significant declines in prices are recorded, which makes it a perfect time for investment. 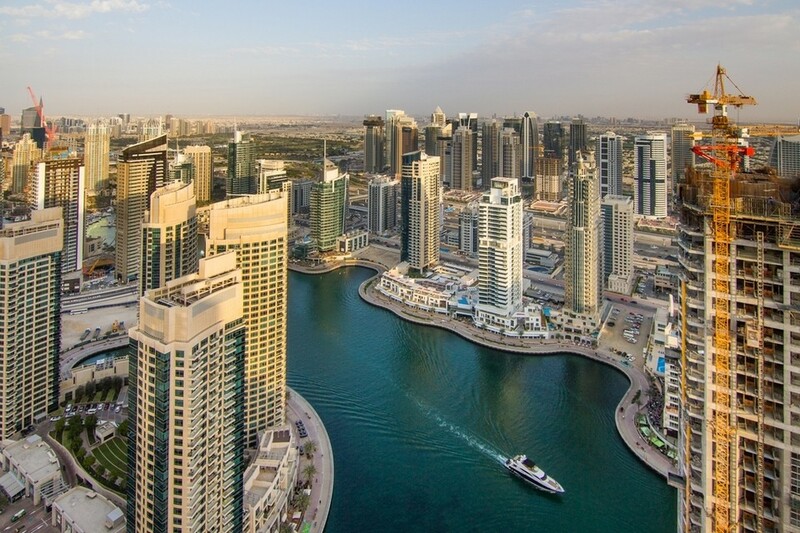 Dubai Marina is one of 26 locations monitored by the VPI that is currently witnessing a soft landing in residential prices after declining 11.4 per cent in value since the peak of 2014, of which, only 1.9 per cent during the past year. Owing to its strategic location and its excellent transport links – namely the Dubai Metro, Dubai Tram and the Dubai Ferry – and representing just over 21 per cent of all apartment sales, Dubai Marina (Marsa Dubai in Arabic) is currently the largest freehold community in Dubai. Consisting of high-rise apartment buildings housing an estimated 35,000 residents, Dubai Marina includes the world’s tallest residential towers, namely Princess Tower and Marina 101 (Dream Marina Tower). The current residential stock stands at 22,000 units with an estimated additional supply of 3,450 residential units to be completed before 2020. Studio apartments make up five per cent of total residential units in Dubai Marina, one-bedroom units 35 per cent, two-bedroom units 36 per cent of the total, three-bedroom apartments account for 20 per cent and four-bedroom apartments make up four per cent of the estimated total. As of February 2017, the overall VPI for Dubai’s residential market stood at 97.4 points, it peaked at 112.9 points in June 2014. In comparison, Dubai Marina’s VPI currently stands at 93.3 points from a peak of 105.4 points during 2014. Current asking prices for built apartments in Dubai Marina range from Dh700,000 for an unfurnished 55.7 sq m (600 sq ft) studio apartment in DEC towers all the way to a Dh20 million 585 sq m (6,307 sq ft) four-bedroom, sea view apartment in Le Reve. Current prices in Dubai Marina average Dh14,047 per sq m (Dh1,305 per sq ft) which is 1.23 per cent higher than the city’s median. 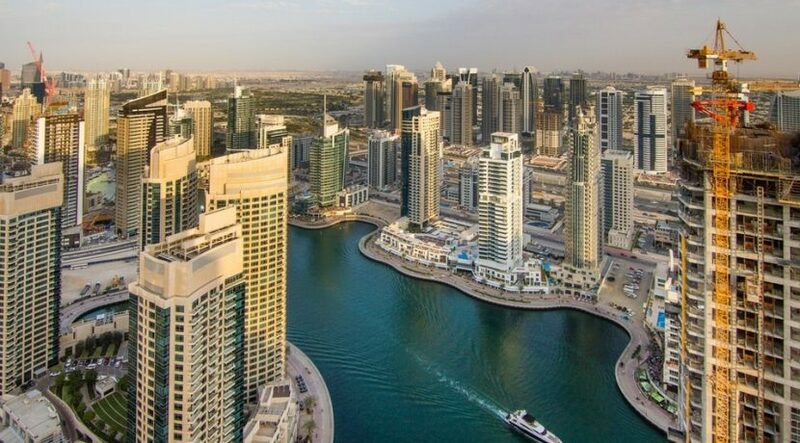 Dubai Marina average asking rents for studio, one, two and three-bedroom apartments have seen an increase of 2.5 per cent year on year and 4.4 per cent quarter on quarter. Additionally, asking rents for studio units up to two-bedroom units are, on average, 10 per cent higher when compared to the latest Rera rental index. Price-to-rent ratios stand at 19 years for high-end apartments with a net yield of 3.4 per cent, 16 years for typical, mid-range, highly sought-after apartments generate net yields of 4.3 per cent, and 14 years for apartments least desired with inferior views having net yields of up to 4.4 per cent. With a budget of one million dirhams, one can afford to buy an unfurnished 85.6 sq m (922 sq ft) one-bedroom apartment on a high floor with Sheikh Zayed Road views. Two million dirhams gets you an unfurnished 126 sq m (1,360 sq ft) two-bedroom apartment with partial sea views. While Dh3 million can fetch a 189 sq m (2,037 sq ft) high-end three-bedroom plus maid’s room having three balconies with views of Palm Jumeirah and the sea.